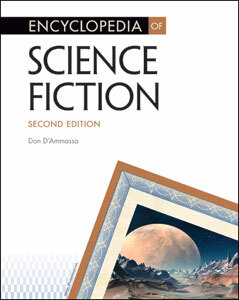 Written by a well-known science fiction writer, Encyclopedia of Science Fiction, Second Edition provides comprehensive coverage of the major works and authors that make up this popular genre, in approximately 500 detailed and updated A-to-Z entries. Author entries include a discussion of the writer's life and work. Entries on works discuss the work's literary merits and its place in the tradition of the genre. Don D'Ammassa is one of the world's leading experts on contemporary science fiction, fantasy, and horror. He has reviewed all three genres professionally for approximately 30 years and has interviewed many of the genre's most important writers. In addition to book reviews, he has written extensively about the history of the field and has contributed articles to various reference books and magazines. D’Ammassa has written two horror novels and one science fiction novel, as well as more than 100 short stories for leading science fiction magazines.